Colocation giant Equinix has partnered with Oman Telecommunications Company (Omantel) to build its first data center in Oman. At full capacity, the facility near capital Muscat will offer 18,600 square feet of white space – enough for approximately 750 IT cabinets. The first phase of the project will deliver capacity for 250 cabinets by the second quarter of 2019. The partners say it will present the first world-class, carrier-neutral data center hub in the country. Equinix is the world’s largest data center operator, with more than 200 facilities under management. However, these are not distributed equally, and there are plenty of regions with little or no company presence – for example, Equinix doesn’t own any data centers in Russia, and all of its operations in China are handled by a local partner. Up until now, the company’s only data centers in the Middle East were located in Dubai and Abu Dhabi – but that is about to change. 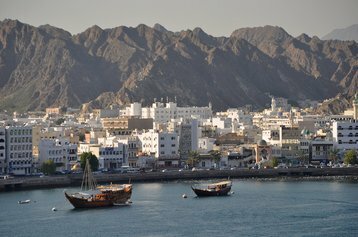 Oman is a middle-eastern state that occupies the strategic position at the mouth of the Persian Gulf, between Asia, Africa and Europe. To enter this market, Equinix has partnered with Omantel - the primary provider of Internet services in the country. The joint venture is a 50/50 split, with each company investing $10 million. Additional funds will be raised through debt financing assumed by the joint venture company. The data center will be located in Barka, near Muscat, and branded as International Business Exchange (IBX). It will benefit from connectivity to six submarine cable systems that land in Oman – some of them, in direct proximity to the data center. The facility promises low latency connections to the global business hubs and Equinix data centers in nearby markets. “We are excited to work with Equinix on this project and accelerate how users experience cloud, content and next-gen communications,” said Talal Al Mamari, CEO of Omantel. Earlier this year, Oman Data Park (ODP) - a joint venture between Omantel and IT services company 4Trust - opened a data center in the port city of Duqm.